I've enjoyed the first three episodes to this point. It's true there is a little bit of license with the storytelling so far. What has intrigued me to this point in the story (three are being told - roughly in parallel) is the wild narrative of Pixelon. I'm just curious to know how close to the truth the real story is to what is portrayed here. 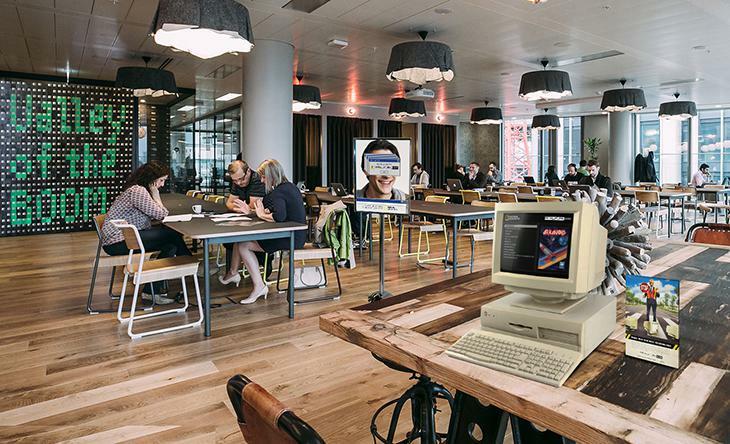 I've been curious about the show VALLEY OF THE BOOM ever since seeing the activation they did with WeWork where they took over some WeWork spaces and "retro-fied" them. I feel like @Chris would get a lot more out of this show than just retro nostalgia! I feel like @Chris would get a lot more out of this show than just retro nostalgia! Finished the mini series last night...highly entertaining, but I'm sure that for those that are in the battle (like @Chris and maybe even you @Victoria ) on a daily basis, it's not fun. What I am most impressed with is the option to either watch one ad up front or multiple ads throughout the show on NationalGeographic.com. I was expecting to come up against another subscription model which I am not interested in adding another. Instead I am welcomed with a choice where I can watch on any device of my choosing without adding another $10/month. (What would even be better is another choice to pay per episode) I wish more content providers would choose this model. Can't wait to watch this program though. Looks super interesting!! !